Imagine — Are We There Yet? Politicians wasted no time in sending out campaigning letters like this one to potential female voters - even if their party had been opposed to the idea of women's suffrage. Lucy Gordon of Parnell received this letter from the Liberal Party candidate William Napier just before the general election on 28 November 1893. Suffragists had gone on a mission to enrol as many women voters as possible and canny politicians knew they had the ability to strongly influence the election. So who was Lucy, this piece of paper with her name is the only clue we have. How might we discover her story? It’s reality—just not a reality we get to hear about, or that we have recorded the details of often enough. The fact that we don't know the names of these women, that we didn't record their activities, that we weren't interested in collecting the things they used in their daily lives, that we didn't actively seek out their possessions to hold in our Museum collections for posterity is a reflection of the male dominated legacy of our nation's museums and archives. 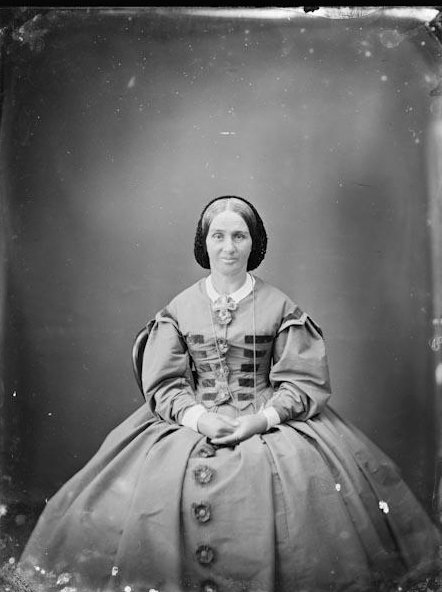 Your research task here is to find a photo of a woman whose name is unknown. Don't worry - this is going to be very very easy. The National Library of New Zealand is here to help you access and use the collective knowledge of the nation. It's the Library's job to collect New Zealand's documentary taonga in words, sounds and pictures, the make everything is protected and accessible. They have lots of content that is free to download. The Museum holds one of the nation's most important pictorial collections - a wealth of historic paintings, rare watercolours, photographs and other artworks. Most of New Zealand's greatest photographers are represented here, while amateur albums of family snaps and soldiers mementos are a hidden treasure for descendants and social historians. DigitalNZ is the search site for all things New Zealand. We connect you to reliable digital collections from libraries, museums, galleries, government departments, the media, community groups and others. You'll find interviews, video, newspaper clippings, maps, photographs, audio and artworks from past centuries to today. In this task you'll create a piece of writing that gives your "unknown woman" a story. It's called a close visual reading but we want to turn your visual reading into a story for your unknown woman. We're using Alice Canton's very clever She is, She is wearing, She probably, She might have as our inspiration. Find a great portrait of an "unknown woman"
This task is all about looking closely so choose an image that catches your eye. Maybe the woman you choose looks strikingly different, maybe she's looking at the camera in a way that makes you think, maybe the thing that catches your attention is that she doesn't stand out at all. Try and find women from all walks of life. If you have used one of the image libraries from the Investigate section above then you should be able to identify which decade your photo was taken. 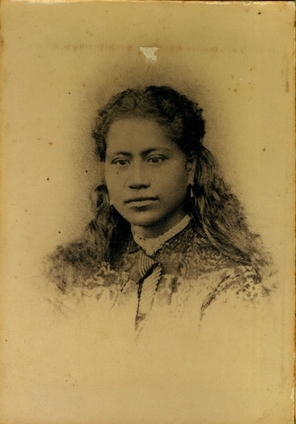 Conduct some research on this time period in New Zealand. What was happening at the time? What were the current events of the day? What were the products that were advertised in the media? What type of clothes might she have been expected to wear? What types of work might women have done in this period? Is she rich or poor? What do you think she would have wanted for her own life or for the lives of the women coming after them? Conduct a 'close visual reading' of your image - What's intriguing? What can you see? What's unusual? What small details can you find when you look really close? What clues can you discover to your woman's identity. Watch Alice Canton's presentation at the Auckland Writers' Festival. She was asked to choose an item from the Are We there Yet? 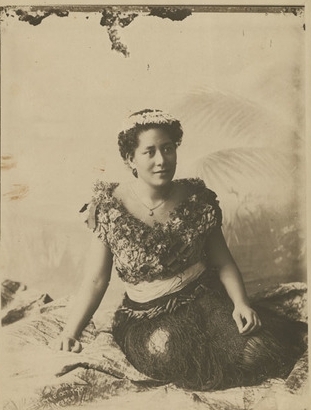 Exhibition at Auckland Museum and write about it. She created this very clever poem about a photo of a woman whose name is unknown. Try and replicate the structure she uses and combine it with both the information from your research and your close reading observations to create a series of responses to "She is, She is wearing, She probably, She might have."